If you want to reduce the weight of your pack, you should do it gradually. Carry less on each trip that you make and for each trip find something that can be replaced with something lighter or left out completely. If you don’t have enough weight in your backpack, it can be dangerous or uncomfortable. Lightweight backpacking has its own limits. Some of its techniques need to be practiced first. I’m talking here about pitching a tarp properly or choosing the lightweight clothes that will keep you dry and warm. Alcohol stoves also need some practice to use. You should test your skill and learn them better during a short trip or hikes that take only one day. One option at your disposal is going on a hike organized by a company. First of all, when packing light, buy a scale. Every piece of clothing or gear should be weighed. Write down the weight of each item and some potentially lighter objects that you can use instead. You can see exactly how much weight you save if you get a scale. Second, pay special attention to the pack, tent and to the sleeping bag. Getting lightweight versions of these items can save you a few pounds. 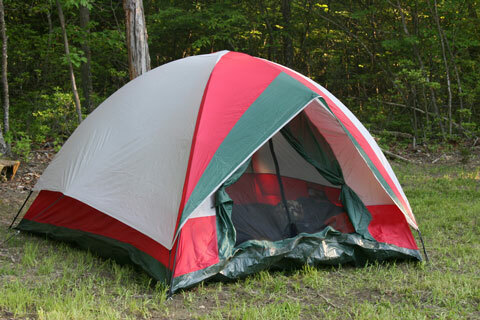 While a lightweight tent has around 4 pounds, a normal one will have 8 or 9. If you go with a bivy or a tarp instead of the tent, it will only weigh around 20 ounces. A backpack that is lightweight will have around 2 pounds, while a regular one will have between 5 and 7. As for the sleeping bag, it usually has around 3 pounds, but a lightweight one will have 19 ounces. One tip that I have for you is to get the backpack after you bought the other items, so that you know exactly how bit it needs to be to hold everything. If you want to go backpacking, there are plenty of choices when it comes to food that doesn’t weight much. A lot of people go with the prepackaged meals that are dehydrated. They usually taste good, have a low weight, they’re convenient and give you the right nutrition. The downside is their price. The dietary needs for a backpacking trip are usually around 60-70% carbohydrates. You can get them from rice, pastas, grains and potatoes. Between 15 and 20% should be composed of fats. Fats can be taken from candy bars, cheese, chocolate or peanut butter. The rest should be made out of proteins (15-20%). You can get proteins from canned or dried meats, peanut butter, tinned fish and textured vegetable proteins (TVP). You might want to invest in a food dehydrator, as it can be great when planning backpacking meals. 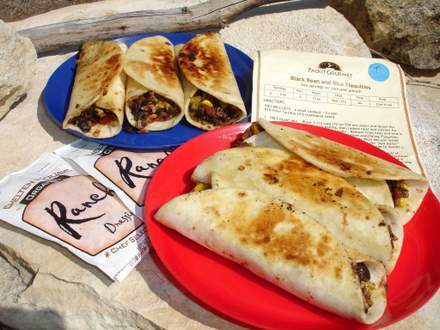 You can make with it dried vegetables or fruit, sauces and jerky. Boiled water would be all that you need besides these foods. Since the normal packages you get from shops are bulky or heavy, the food should be kept in bags that can be resealed or in Ziploc. You can easily eat directly from them, so you don’t need to carry recipients for that. Drinking water in the wild should be done only after it’s treated properly and sanitized. Using a filter means that you can get 1-3 liters of water each minute. There is a good chance it will taste better as well. The problems of a filter is the sand and silt clogging that appears. Some filters can be cleaned in the field by yourself. If a filter stops working, boil the water to make it safe to drink. There are also lightweight options when it comes to filters, like the Steri-Pen, which uses Ultraviolet light to get rid of viruses and bacteria. There are a number of options at your disposal if you want to have protection while camping. The first option would be no shelter at all, if you can manage that. The others are a bivy sack, tent, tarp, bug screen or hammock (if they have enclosures). Choosing which one to get means that you should first look at the option that gives you the comfort that you want from it, and then to the price that you’re looking for. For me, the shelter needs to protect me during a storm and keep the mosquitoes out. Basically, what I want is something that gives the best protection against bugs and rain (tent, bivy sack or hammock). Out of all of these, the standalone bivy doesn’t offer too much space so I would probably take it out of the equation. If I’m going alone on a hike, I would avoid carrying a tent, but if there is someone else with me then the weight can be shared. For a solo trip, my options would be hammock, tarp/bivy or tarp/bug screen. Here is what you need to know about the hammock. There are a number of advantages when using a hammock to sleep. Two trees that are around 9 feet apart is all you need to sleep in a hammock. If there is a forest nearby, you are sure to find that pair of trees for your hammock. With a hammock you don’t have to worry that there is a slope or a puddle in the area. Plus, since hammocks have advanced in time, you’re in no danger of falling over from them. They’re great for those that go alone in hiking trips, since their weight is usually less than 4 pounds. Spending just $100 will give you a hammock that weighs under 3 pounds. A sleeping bag is one of the most important pieces of equipment that you need when you go hiking. It’s also the most expensive purchase in most cases. Both the backpack and the sleeping bag should be bought after taking some time to decide on which one to get. They are an important piece of your trip and you should use them for a few years. Buying a good sleeping bag can make all the difference and allow you to sleep peacefully instead of struggling because of the weather. The insulation should be enough in the bag to allow you to sleep in cold weather. Even if it’s summer, it’s still possible to find snow in the mountains. In some cases, I’ve seen temperatures below zero even in June. If you will go hiking during three of the four seasons, you should get a sleeping bag that is rated at a minimum of 25F or even at 15F. However, for the middle of the summer you might want to get a fleece sleeping bag, if you’re expecting extremely warm weather. In most cases these sleeping bags don’t generate any heat. The air inside the sleeping bag is heated by your own body and it acts as a barrier in front of the cold. If the sleeping bag fits well around your body, the quantity of air that needs to be heated by your body is smaller. There are a lot of options available to you if you’re looking for a sleeping bag. There are different shapes, sizes and materials used. Some of the shapes to choose from are semi-rectangular, rectangular and the mummy. If you want to be comfortable, go for the down bag, as it gives you the most warmth, compared with other materials. It will also last you for a longer period of time, so you need to invest less in the long run. Travelling together with a dog can be a great experience and a way to unwind and get away from all the responsibilities of day to day life. Your dog will love the chance to get out of the house and experience new places and scents. A lot of people that went backpacking with their dog said that they enjoyed it much more this way. Since a dog has a powerful sense of smell, they can show you animals that you might miss otherwise. There are some conditions however, if you want to go hiking together with a dog. First, the dog needs to be trained properly and you need to be able to restrain him physically when they see squirrels, deer or rabbits. Second, you need to be responsible and prevent your dog from bothering other animals or people. You should always pick up the mess created by your dog. You should know what your dog will do. Know when he will become aggressive for example. In what situations you need to hold them and when you should pay attention to his reactions. If he can’t be controlled, leave the dog at home. Don’t risk injuring someone or spoiling their vacation. All in all, just make sure the dog is well behaved, fit and healthy, before you take him on a trip. People camp when they need to rest after a long hike, so your dog shouldn’t disturb their quiet time. Barking is one of the things that would disturb the other campers. You should take your dog to a dog school if possible. Before a trip, it might be a good idea to visit a doctor with your dog, to check for his general state of health. If you want him to carry something, tell the doctor to check for hip dysplasia.